The Samsung Galaxy S8 received its Oreo beta weeks ago, so it's a bit surprising that Note 8 users have been left in the lurch. Only until now, though, as what looks like a stable internal Oreo build for the flagship has finally surfaced, with users testing it out and confirming its validity. Some weeks back, we received reports that Samsung would release final stable Oreo updates for its flagship devices in Q1 2018. Soon after that, the Oreo beta program for the Galaxy S8 was opened, with users finally getting a taste of the latest version of Android. The Note 8 was, surprisingly, snubbed, though, with no actual information as to when users of the plus-sized flagship would get updates. 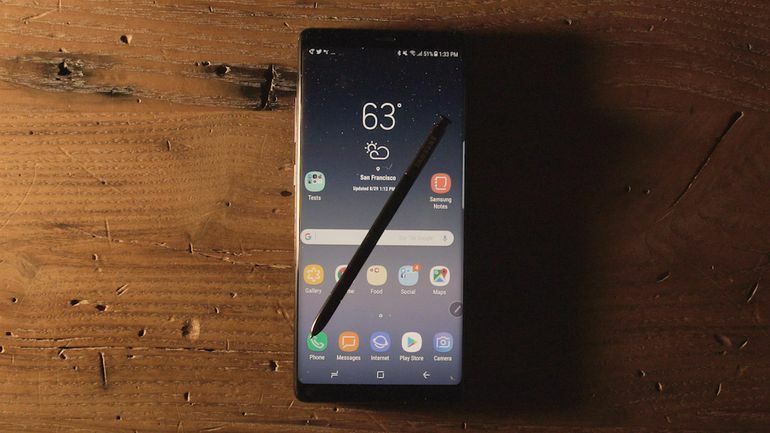 All of that looks to have been put to bed, however, as an Oreo beta firmware file for the Note 8 has surfaced online, with users flashing it successfully. The file is said to work on all carriers, although some users will have to flash forward to the "2BQK2" build before installing the firmware file. Those on builds ending with "QK2" should be able to download the 1.4 GB file to their MicroSDs, boot into recovery, and install the update without much hassle. Do note that this seems to be an internal beta build of the update and, while users have tested it and confirmed that it's stable, it wouldn't be out of the realm of possibility for bugs to start popping up after a while. It's also only available for US Snapdragon versions of the device. Project Treble isn't present in this build but there has been word that the final release will have the feature implemented. You'd do well to take that with a pinch of salt, though.